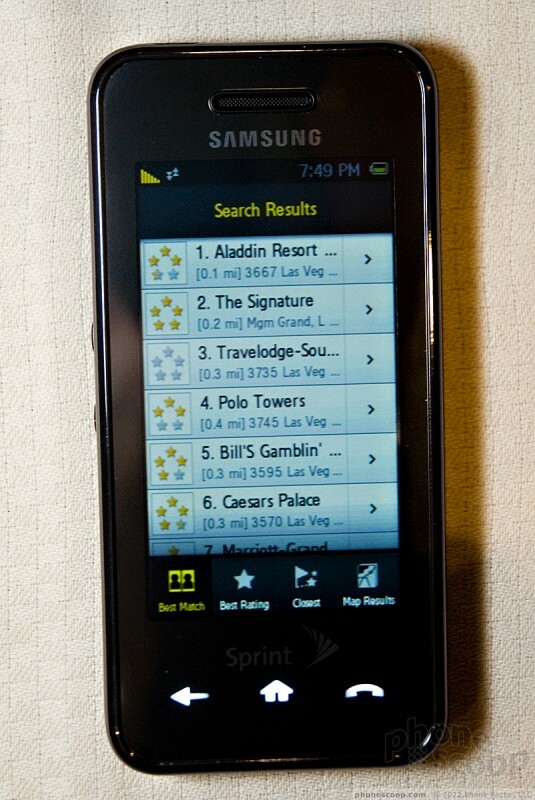 The Samsung Instinct for Sprint was probably the biggest phone to debut at this year's CTIA show in Las Vegas. 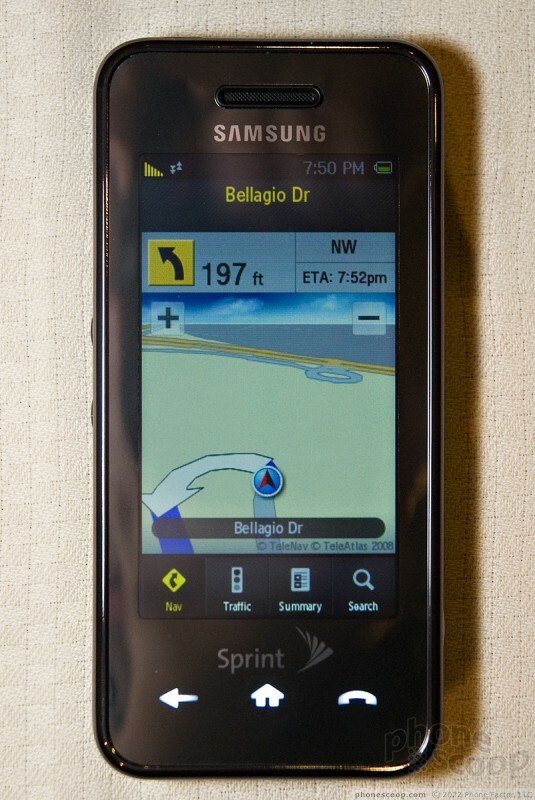 It was the premier product announced by Sprint CEO Dan Hesse during his keynote to conference attendees. 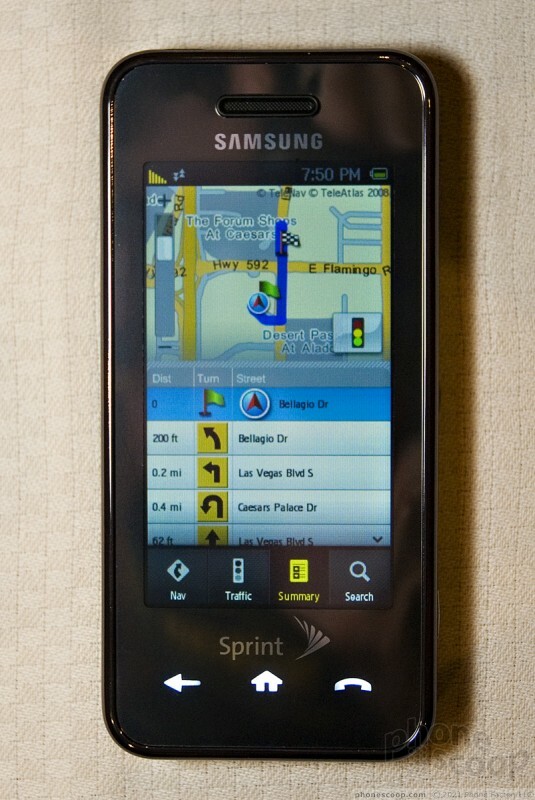 It is Sprint's flagship device for 2008, and seemingly includes it all: EV-DO Rev. 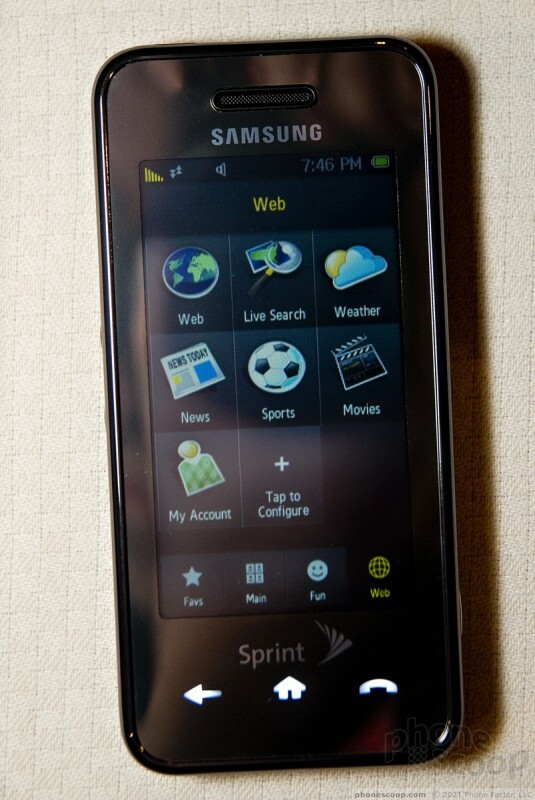 A for super fast web browsing, tons of multimedia applications, and of course a touch screen user interface. Rather than be a revolutionary entrant to touchscreen devices segment, however, it is an evolutionary step and certainly has its quirks. The hardware itself resembles phones such as the LG Vu and, yes, the iPhone, in that it is a rectangular black slab with a large touchscreen display and few actual buttons. The back of the Instinct has a soft touch paint job, so it so it feels good. The weight is nice and even, and it is very comfortable to hold in your hand. 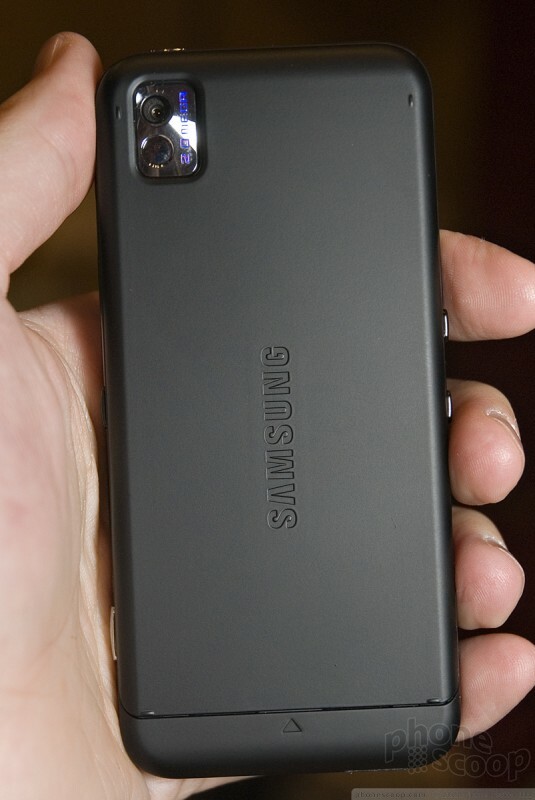 It is thicker than the iPhone, but not egregiously so. 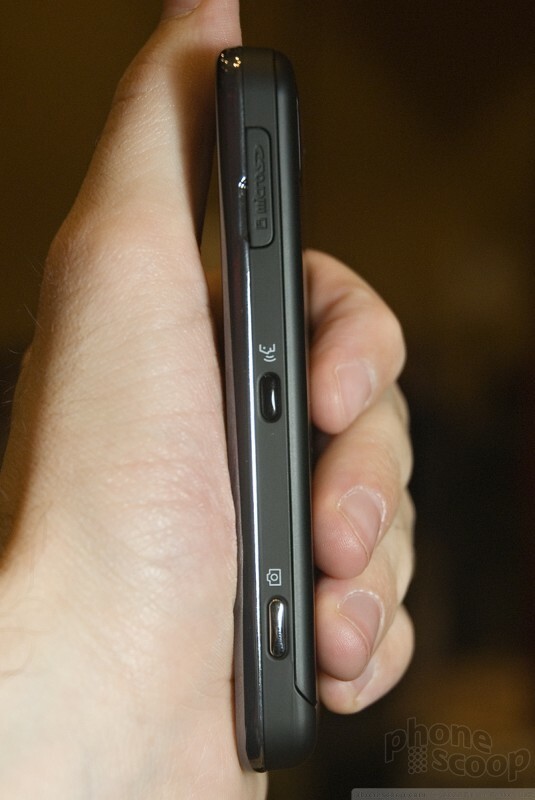 There are some of the usual buttons along the sides, include a volume rocker and on the left, and dedicated camera and speakerphone keys on the right. 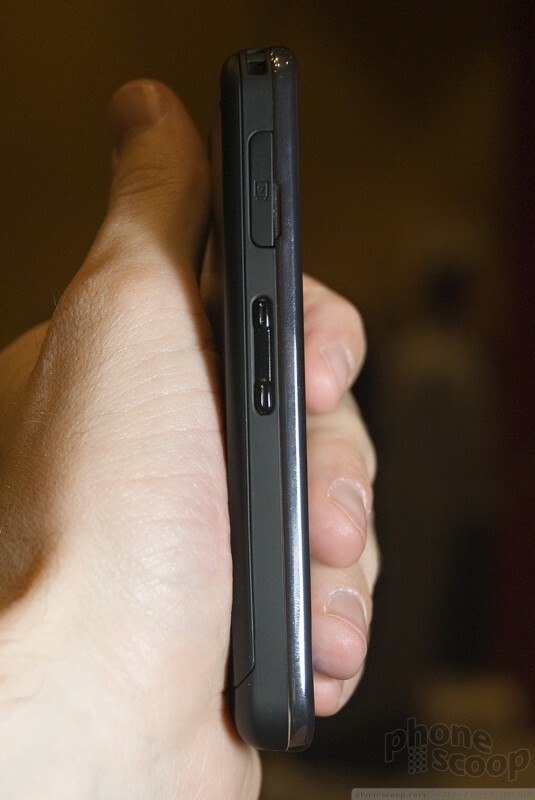 Each side also has a port, with data on the left, and microSD on the right. All of these physical buttons and hatches/ports felt good and worked well. They were easy to find with your fingers and offered good feedback. Interacting with the touch screen was another matter. 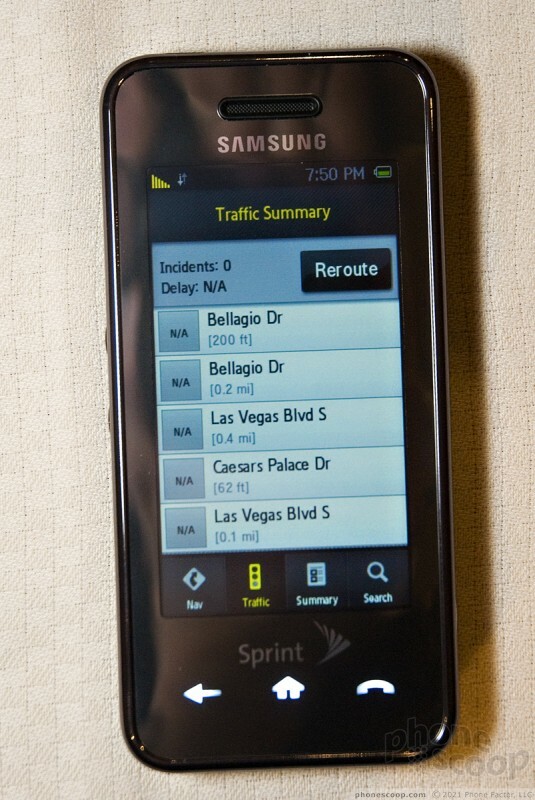 Unfortunately all the devices Sprint had on hand were pre-production beta units, and it showed. The units we held constantly crashed or got hung up, or restarted because of the bugginess in the software. 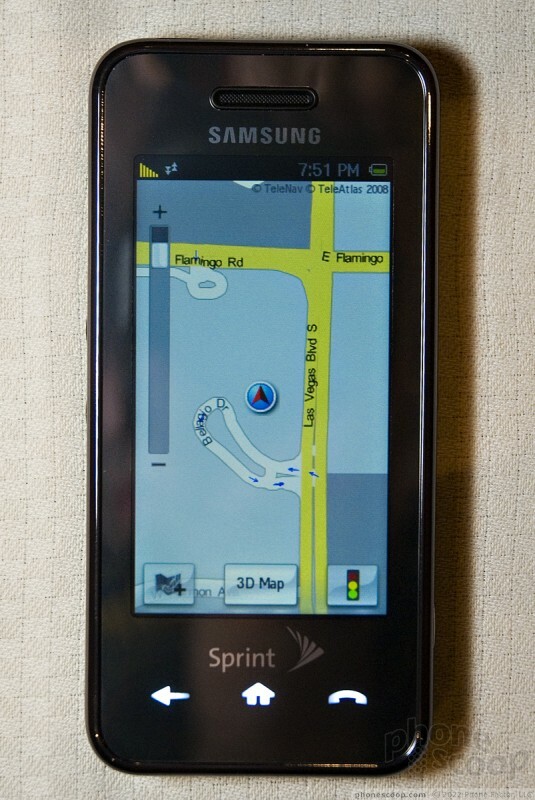 Bugs aside, the touch screen interface was developed by an outside design firm specifically for Sprint and Samsung. 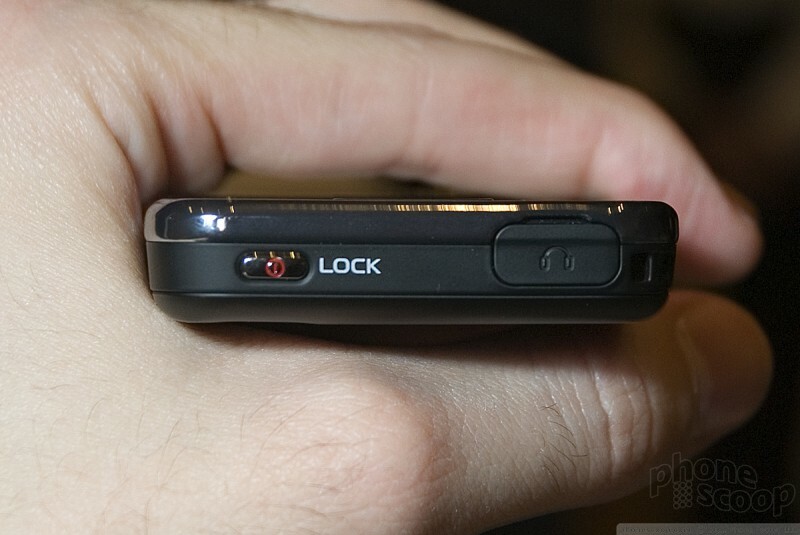 There are three buttons along the bottom of the Instinct, a back key, a home key and a call key. They all do exactly what you think they would. 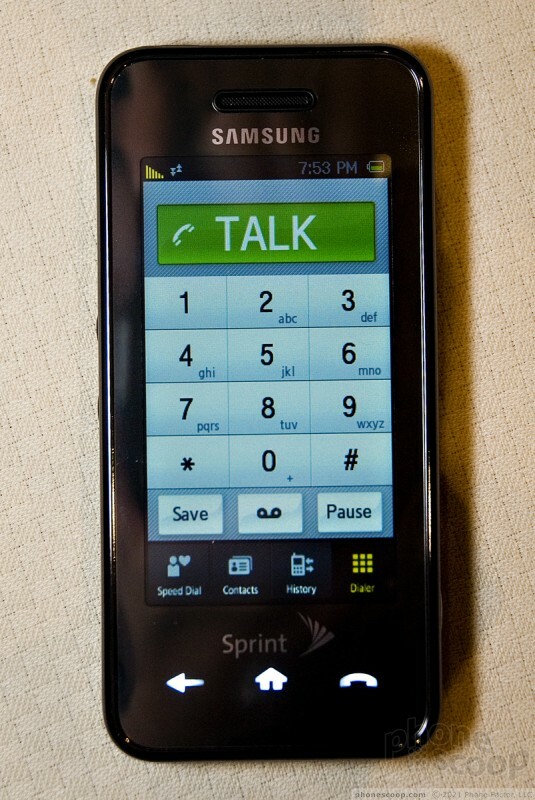 The back key and home keys are especially handy to get yourself to other screens/menus on the phone. They three keys are not part of the touch screen UI, and act independently. Unlike the iPhone, the Instinct uses haptic feedback, sending micro vibrations into your fingers as you press the keys and interact with the screen. This is helpful in that you know you've pressed the buttons, but fully 50% of the time, you needed to re-press the buttons because the phone didn't register the press. We don't know if this is a software issue or a hardware issue, but it really hampered usability. Having to double up on your key presses really slows you down. This is something we dearly hope that Samsung and Sprint are able to work out over the coming two months before the phone is released. There are four buttons along the bottom of the screen, and they are your favorite, the main menu, fun and the web. 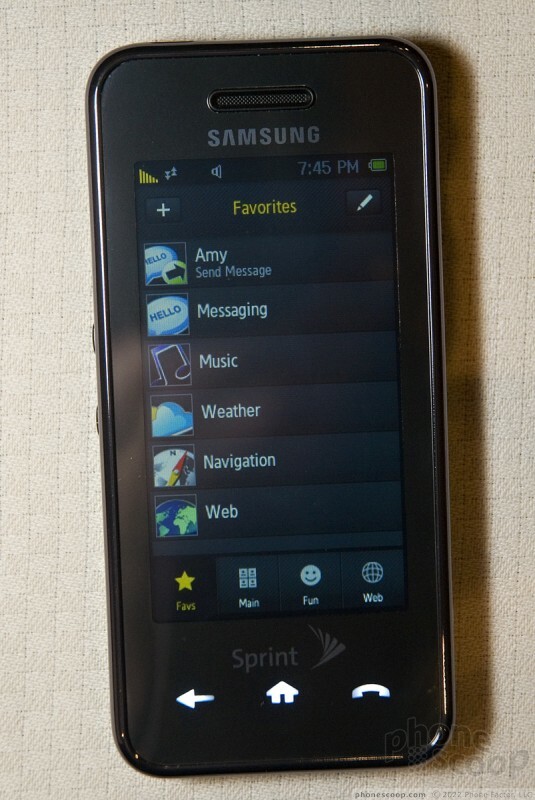 The favorites is a carry-over from current Sprint phones in that it is a fully user-customizable list of your favorite things to do, including web bookmarks, or actions such as sending SMS's to your friends. 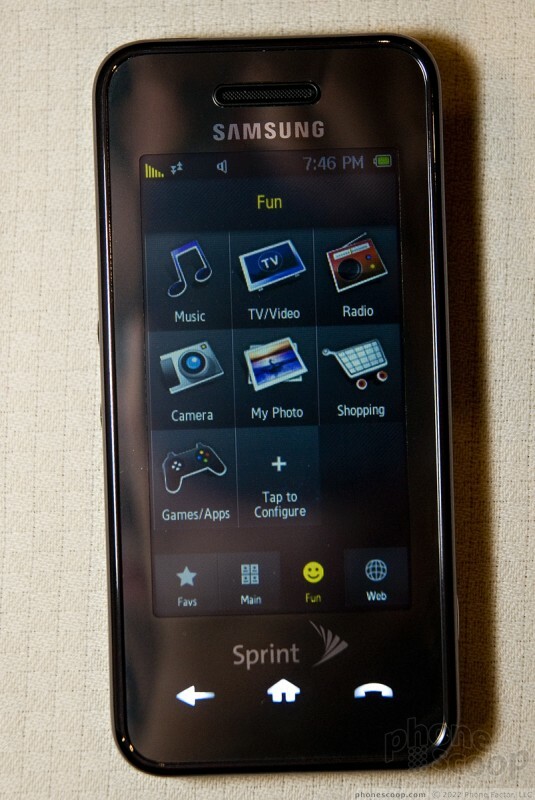 The main menu is simply the Instinct's toolset, the fun menu are things such as the camera, music player, photo gallery and Sprint TV, and the web is, of course, access to the Instinct's full HTML browser. All of these menus are fairly instinctive to use and let you get to tools and applications with very few finger presses on the screen. The web browser itself loads pages very quickly, and you can pan around web pages my moving the Instinct around. 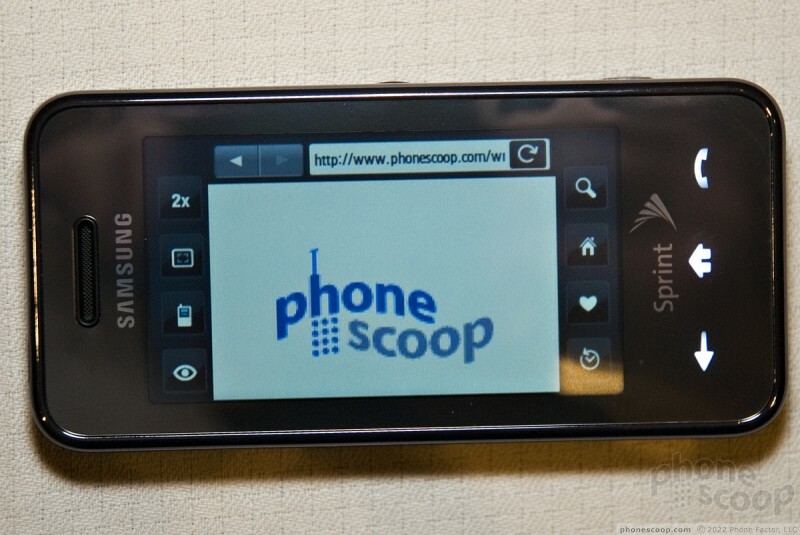 It does not have an accelerometer, but ties the web browser to the camera and can tell that the phone is being moved around, and thus pans the web pages. 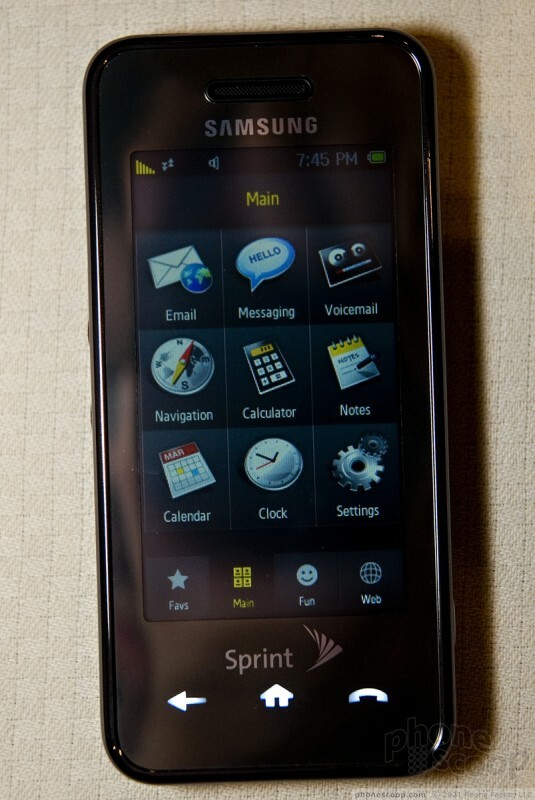 Even though this user interface has been developed from the ground up, it still bears some of the hallmark touches of other Sprint phones (the favorites page being one example). Over all, the Instinct is fun to use (when it isn't busy crashing), and it is sure to be a very successful device for Sprint. We imagine that the software issues will be resolved come launch time in June.